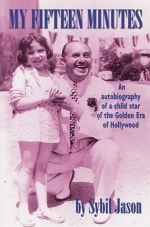 Who was the second child actress (after Shirley Temple) ever to rank among the top ten box-office champions, according to Quigley's Annual MoneyMakers Poll? The answer to this question could be found in the Quigley's Annual List of Box-Office Champions, 1932-1970 article at Reel Classics. 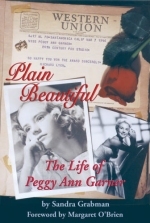 Paperback copies of "My Fifteen Minutes" by Sybil Jason (2005) and "Plain Beautiful: The Life of Peggy Ann Garner" by Sandra Grabman (2005) courtesy Bear Manor Media. Special thanks to Bear Manor Media for their sponsorship of this contest.